Located in Swanmore, Welsh Cottage offers self-catering accommodation with free WiFi. The unit is 16 km from Southampton. The kitchen comes with a di..
Offering a seasonal outdoor pool, children's playground and terrace, Foxlease is set in Lyndhurst in the Hampshire Region, 27 km from Bournemouth. 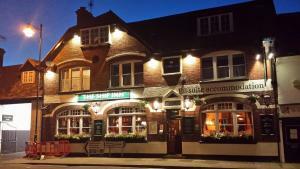 Gue..
Just opposite Swanwick Marina on the River Hamble's banks, The Navigator is located just 6 miles from Southampton. This nautical-themed inn offers fre.. 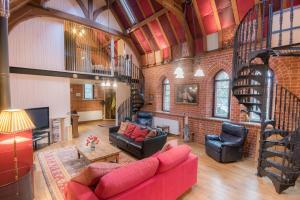 The Chapel offers pet-friendly accommodation in Curdridge. The property features views of the garden is 48 km from Bournemouth. 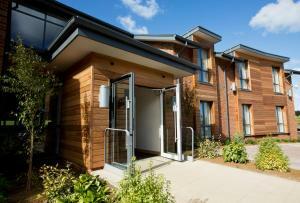 Free private parking i..
Room38Hythe is a holiday home set in Hythe, 37 km from Bournemouth. 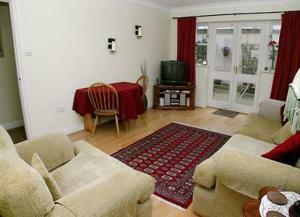 The property is 5 km from Southampton and free private parking is offered. Free Wi.. 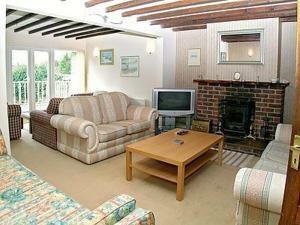 Corner Cottage is a holiday home is located in Fordingbridge and is 25 km from Bournemouth. The property is 27 km from Southampton and free private pa..
Yaffles is a studio with a patio, located in the New Forest, near Fordingbridge. The unit is 23 km from Bournemouth. Free private parking is available.. In Kingsclere, Hampshire, Sandford Springs Hotel and Golf Club offers luxury accommodation along with a high-quality restaurant and bar. With 3 challe.. 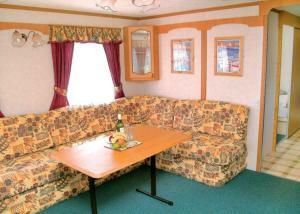 The Crest is a holiday home located in Droxford and featuring a garden with a barbecue. The property boasts views of the garden and is 20 km from Sout..
Stonehenge Spa offers pet-friendly accommodation in Shrewton, 23.6 miles from Bath. The property is 29.2 miles from Southampton and free private parki.. Situated on the edge of the New Forest National Park, The Three Lions offers homely guest accommodation and an award-winning restaurant. Food is cooke.. 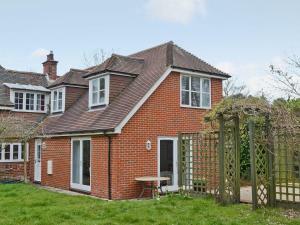 The Cottage At Dockens Water is a holiday home set in Godshill in the Hampshire Region and is 22 km from Bournemouth. The unit is 23 km from Southampt..
Church View is a holiday home with a garden, located in Warnford in the Hampshire Region. The property is 25 km from Southampton and features views of..
Riverside Holidays is located in Lower Swanwick, 43 km from Bournemouth. Southampton is 7 km from the property. All units include a TV. There is a se.. 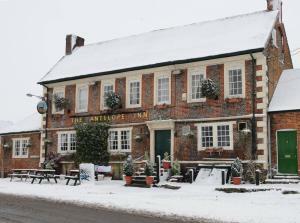 Located in Upavon on the Vale of Pewsey, The Antelope at Upavon features a garden with a sun terrace,as well as an on-site bar and an à-la-carte rest.. 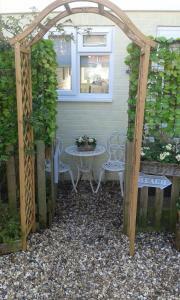 Situated in Enborne, this holiday home is 42 km from Oxford. It provides free private parking. There is a dining area and a kitchen complete with a d.. Located 25 km from Southampton, White Horse Cottage offers pet-friendly accommodation in West Meon. The unit is 24 km from Portsmouth. 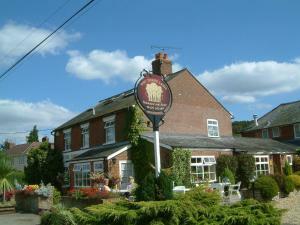 There is a din..
Blue Moon offers accommodation in Hamble, 43 km from Bournemouth. The property is 7 km from Southampton and features views of the garden. An oven, a ..
Nestled in the town of Fordingbridge on the River Avon, The Ship Inn offers a restaurant, free WiFi access and free parking. Situated on the edge of N.. Featuring free WiFi throughout the property, Hyde Barn is a holiday home, set in Godshill. It provides free private parking. A dishwasher, an oven an..